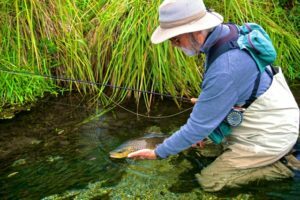 A veteran US angler says NZ is poisoning some of it best fly fishing rivers — and risks losing many overseas anglers. 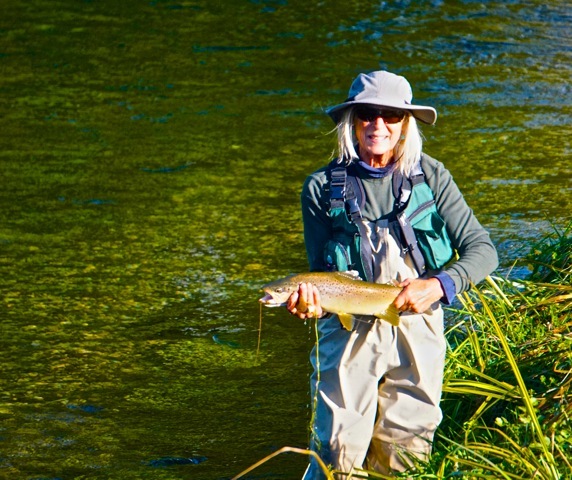 Howard West, who lives in Hawaii, has been fly fishing in NZ for over 3 decades, up to 3 months a year. He was a managing director of Scientific Anglers / 3M , which was once the worlds largest PURE fly fishing company. Howard says: This is a letter which I could never have imagined writing only a few years ago. 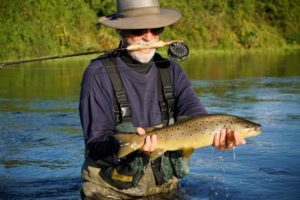 “You see, since coming to NZ in the 1970’s to sample the world renowned trout fishing, I was captivated by the abundant high-quality trout water, the natural beauty, and the friendly people. But the first visit of ten days was only the beginning, soon I was going three months a season. No, the compulsion didn’t stop there, I had evolved into the rarest prize of marketing and promotion; an unabashed, full-on, advocate for anything Kiwi. I bought into the NZ shares market (six figures plus), opened three bank accounts, purchased a section in Twizel, bought a car, furnished my home in Hawaii with Fisher Paykel kitchen and laundry appliances, drank only NZ wines, and the list goes on. As you can guess, the tab for all this devotion over the years has been an infusion of hundreds of thousands of US dollars into the NZ economy. Furthermore, as the head of Scientific Anglers/3M for fifteen years, no opportunity to promote the wonders of NZ was passed by in our marketing materials and publications. My friends, family, and business associates grew weary of hearing about how enlightened and environmentally pure your country was. Now, fast-forward to only two years ago, when I took a hard look behind the NZ “marketing curtain” and was horrified to learn how misguided I had been. What started my new realization was first-hand encounters with the destructive impact that the rapidly expanded dairy industry was having on my favorite Southland streams, which I had been fishing for decades. Each year the streams took longer to clear after what seemed to be minor storms. Since it was sight fishing which kept me coming back to this area, wasting precious days waiting on the water to clear were very discouraging. Secondly, many miles of the once open-banked streams, such as the Hamilton Burn, became so overgrown with willows that they were all but impossible to fly fish, except in the bigger pools. Once world class enjoyment was now reduced to frustration and the nagging question of how could this have happened. Also, I had had enough of the disquieting feeling of seeing E.coli warning signs at the access points of my favorite streams. Clearly I like to fish, but not at the expense of my personal health. After all, I am not simply walking about these streams in knee-high rubber boots, I am in the dairy contaminated water up to my waste, where contact with it is on your hands is unavoidable. So, nearly ten years ago, I said goodbye to the beloved Southland and moved on to the less intensely dairy farmed bush country of the W. Coast. For the first few years, it did not disappoint … rarely off colour and quickly clearing streams, and good mayfly hatches made for top quality sight-fishing in the gorgeous gravel streams. Then, things began to change over the next few years… the fly hatches grew weaker or disappeared altogether, the weed growth in the streams dramatically increased and the rumors of the toxic impact of 1080 and dirty-dairy practices ramped-up. Where is the “green and pristine” NZ of my earlier years? Are those days gone forever? Sacrificed for what? Just as with the Hamilton Burn, many of the once prime, even world-class W. Coast streams, such as the La Fontaine, which has a big reputation, are being tunnelled by willows in many areas and often choked with weed. High-quality sight-fishing is the dominant reason that well over two hundred thousand dollars(US) to date have left my wallet and found their way into those of deserving KiwIs and of course, a proportionate amount has fattened your government’s coffers. Hopefully, with ten or so seasons left in me, I will likely be spending an even greater total amount of both money and days there…if the fishing warrants it. Yes, that is a lot of money, but not significant by itself, yet, when you multiply it by the hordes of avid anglers, who unlike the typical tourist angler don’t measure their visits in days, but rather months, it adds up to a big chunk. Your top tier guides will confirm this, as many of their clients make my expenditures pale in comparison. You might look into your ‘ friend’ Golde’s past….. Sad that I have to concur with our friend Howard – have fished the Southland waterways, Canterbury, some North Island iconic streams, and the wonderful West Coast for nigh on 50 years, I have a perspective that is the same as that of Howard. I have written about this in The Fishing Paper and NZ Hunting News, but of course that is preaching to the converted. My new project is a rambling discourse containing similar thoughts and ideas that might turn into a small book. I hope it helps us all to be more mindful before we lose what we have…..there are other major implications of a political nature to be very concerned about. I am an avid kiwi fly fisher and agree with the sentiment aired here. Southland is in rapid decline polluted water, silted up runs eroded banks. I am amused at the trophy fish displayed by our 600 aussie and kiwi fishing guides, not sure where they are finding them seems to be the way you hold your mouth. Still some good fishing up the coast if you can afford a helicopter.